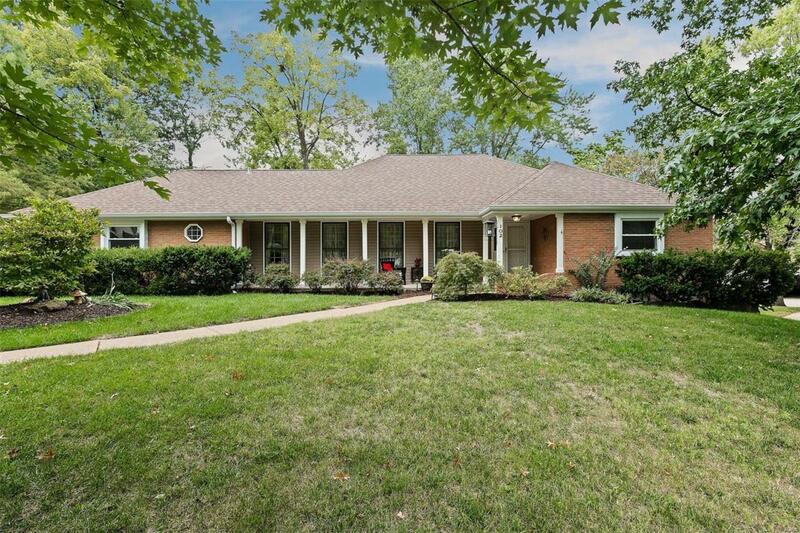 Charming 4-bedroom, 3-bath ranch nestled on level, cul-de-sac lot in Ballwin minutes from Rockwood schools, the Ballwin Golf Course & North Pointe Aquatic Center. 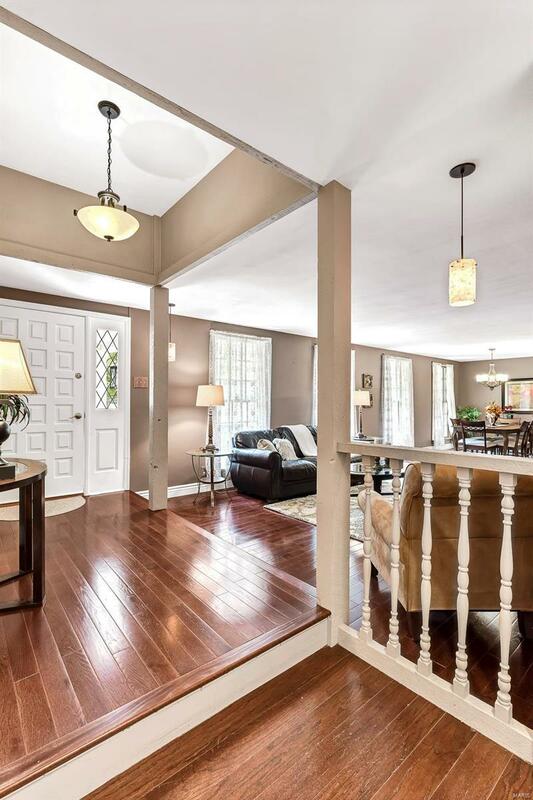 Entry foyer leads to inviting living room/dining room with beautiful hardwood floors. 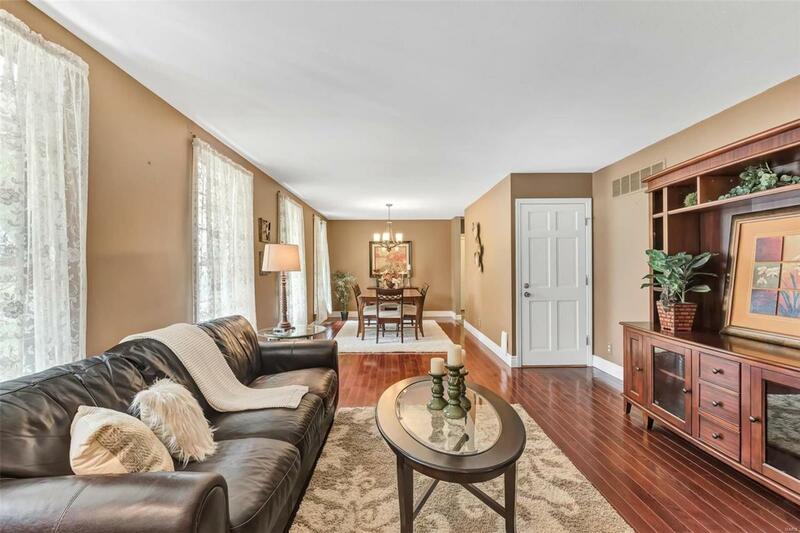 Perfect for entertaining,open floor plan will make you feel right at home! Family room features wood-burning fireplace with gas hook-up, hardwood floors & French-door access to spacious deck overlooking backyard. Kitchen includes white cabinetry, granite counter tops, stainless appliances & breakfast room with skylight. 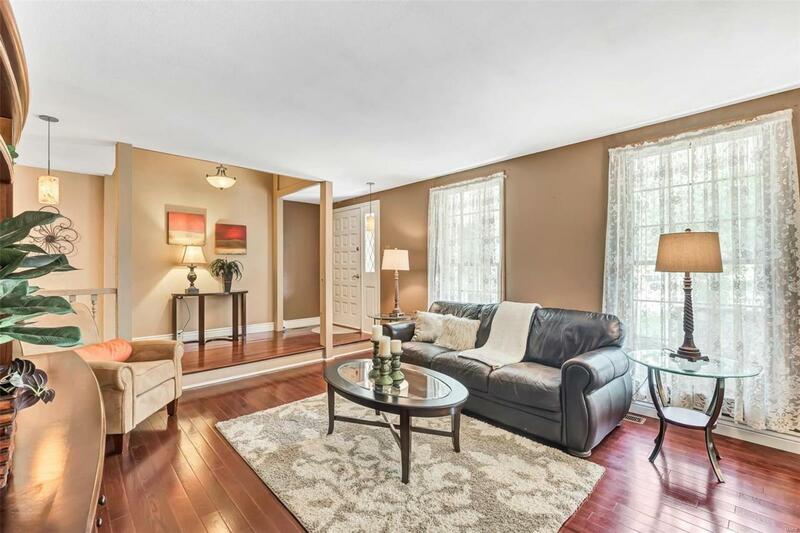 Stunning master suite is relaxing retreat & offers laminate wood flooring, updated on-suite bath & fireplace. Three more beds share hall bath. Extra living space in finished attic perfect for recreation room, office or 5th bedroom! Main floor laundry, newer roof, vinyl siding/gutters/soffits (2017), HVAC/50 gal water heater (2013) are added bonuses. Expansive LL. Ballwin City and Metro West inspections already complete! Listing provided courtesy of Red Key Realty West. Listing information © 2019 Mid America Regional Information Systems, Inc.